The Chapparral 27 signature is a true American classic sports cruiser. 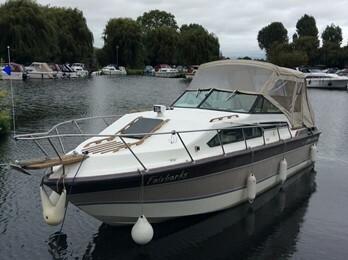 The large social cockpit with generous seating is a trade mark of these popular cruisers. The extended bow railing and bow sprit add character to the craft. Expect that the boats will be fitted with larger Mercruiser petrol engines.